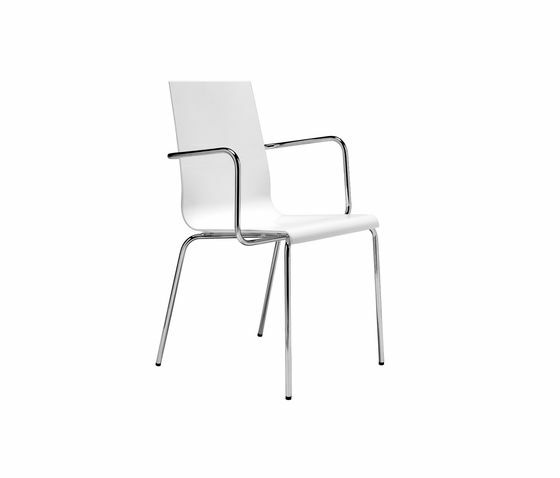 Kuadra armchair with composite plastic material shell, round steel tube armrest diam. 16 mm. with armrests. Stackable chair.